This site contains a lot of photo galleries, as follows. I’m glad, if you find these photo　galleries interesting ,or informative, when you travel somewhere. 高齢者が集まる "とげ抜き地蔵" 商店街 / " Togenuki" temple town, elderly people concentrate. 大森駅至近のディープゾーン，地獄谷と居酒屋横丁ビル / Pub alley nearby Omori Station,commonly called "the Hell Valley"
露店がひしめくアメヤ横丁　/ Ameya-Yokocho - many stalls on the alleys. 奈良井宿の繁栄を支えた工人町、木曽平沢集落 / Kiso - Hirasawa, famous as a lacquer ware productive center. 塩の道の宿場町，奥三河，足助宿 / Asuke, thrived as a marketplace on the "Salt Road". 北国街道の宿場から養蚕の町へ、海野 / Unno - post station, and silkworm-raising town. 天領の商業地，大宇陀・宇陀松山のまちなみ / Ouda, Uda-Matsuyama, a shogun's demesne. 美しい町家が続く城下町，津山のまちなみ/ Tsuyama, old trophy merchants' residences remain. 龍野 - 夕焼け小焼けのあかとんぼの里 / Tatsuno , called as " little Kyoto of Harima Provicne"
鍋島焼の秘窯の里，大川内山 / Imari, many pottery kilns stand in the mountains. 雨に煙る悲情城市,九份 / Jiufen, "A City of Sadness", shrouded in a heavy rain..
香港 - 昼の市場・雑踏散策編 / Hong Kong,daytime...Markets & alleys. 香港・夜の市場・雑踏編 / Night of Hong Kong...markets and alive lively alleys. 帝政ロシア威信をかけたイサク大聖堂 / Saint Isaac's Cathedral, the largest orthodox basilica and the fourth largest cathedral in the world. 水飛沫が眩しいペテルゴフ夏宮殿 / Peterhof Palace, Петерго́ф, "Russian Versailles"
ドニエプル河畔の ”緑の古都" キエフ / Kiev, " greenest city in the world"
小さなベネチア，バンベルグ / Bamberg, Klein-Venedig "Little Venice"
水の都, ヴェネチア Part3 / Venice Part3 - "City of Water"
海に浮かぶ都市, ヴェネチア Part2 / Venice Part2 - "The Floating City"
雨に煙るエトワール凱旋門 / Arc de triomphe de l'Étoile, in rainy night. 雨煙に霞むアルジェのカスバ / Casbah d'Alger, in the rain.
" サヘルの真珠 " スースのメディナ / Sousse, called "the Pearl of the Sahel"
2000年の歴史を持つシルクロードの交易場，シヨブバザール / Siyob Bazaar, "Samarkand naan" are sold. 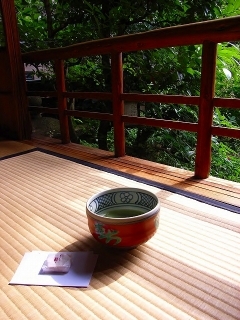 坐漁荘 / Zagyosoh - Ryokan,Japanese style hotel.